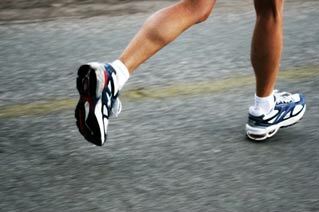 The most common goal in fitness or athletics today is to increase endurance. In fact, increasing endurance has become so popular that people are willing to go to great lengths to achieve their goals. The supplement industry has heard this demand and now provides the consumer with a plethora of supplements to help people reach this goal. These products are in the form of energy drinks, pre-workout drinks, and numerous types of stimulate containing products to give you that boost before a workout or athletic event. Here is the kicker! These supplement companies are formulating these products without any concern for your long term health in mind. In fact, many people have suffered serious cardiac and other health related issues taking these products. The mindset has to change in the fitness and athletic industries to ensure the consumer that increasing endurance can be done safely and effectively. The irony is that these companies will not stop formulating these products regardless of any serious injury it can cause you or anyone taking them. What if I told you that you can increase your endurance without any harsh side effects? That we can do it safely and naturally without any risk to your health. Water, foods, and whole food supplements are the way to go and I will show you how to do it! In a culture obsessed with stimulants this may seem hard to believe! I am going to give you 4 secrets to increase your endurance that are so simple that you may seem skeptical at first but if you follow through with them, I can promise you that it will help you break through your current fitness or athletic level. You may be asking, “I thought all water is the same?” Well I am here to tell you that not all water is created equal. You may also be asking, “What does ionized Kangen water have anything to do with increasing my endurance?” Let me briefly discuss the 3 properties of this water and relate it to how it will assist in building endurance. Property #1 Kangen Water is alkaline! When your tap water is filtered through the Kangen machine, it goes through a process called, “electrolysis.” What this means is that the minerals in the water are preserved through the initial filtering process and passes through positive and negatively charged plates that create a tight colloidal bond between the water molecules and the mineral molecules turning the water alkaline. This process is an electrical change; not a chemical change, so it is unlike adding alkaline chemicals into your water making it alkaline, for example, baking soda. Most of the waters we drink, whether they are filtered or bottled do not contain the electrically charged minerals and are highly acidic. These highly acidic waters do not replenish the body with the necessary electrolyte minerals to buffer the multiple acids produced during any physical activity. Kangen water will provide your bloodstream with multiple alkaline minerals to buffer the acids produced during exercising or sporting events. Neutralizing these acids with ionized alkaline minerals will help your recovery time, prevent your body from pulling alkaline minerals in your bones and connective tissues to neutralize those acids breaking the body down over time, and supply the body with ample amounts of electrolytes keeping you hydrated and performing hard! Property #2 Kangen water provides the body with electrical antioxidants! In comparison to other types of water; Kangen water actually has a negative ORP reading which means it is loaded with electrical antioxidants combating free radicals caused by physical activity. Other water sources have a positive ORP reading, therefore, adding more free radicals to the body at the cellular and tissue level. When you drink Kangen water that is loaded with electrical antioxidants, you will combat free radicals, protect your body at the cellular and tissue level, recover faster, and increase your endurance. Your endurance will increase because the body is supplied with more oxygen rich water that saturates the bloodstream increasing your ventilatory threshold. For all you fitness guru’s and athletes, do not be surprised to feel a boost of energy drinking the 9.5 level! When the body is hydrated at optimal levels, it functions more efficiently and the net result is increased endurance. Kangen water is easier to drink because of the reduced water tension, therefore, your body will function at higher levels. This third property enhances the water’s ability to push out toxins out of the cell and increase cellular oxygen levels. Reducing the metabolic acids caused by your physical activity will enhance your output! The nutrition industry and at times the medical profession pushes fitness people and athletes to consume larger quantities of animal based foods when it comes to endurance or building muscle. This dogmatic teaching about animal food consumption has most of us believing that we must consume mostly animal foods to reach our fitness and athletic goals. The problem is that animal foods will help to repair and build muscle; but the chemical components found in animal foods will not increase endurance. When you consume mostly animal based foods, you are producing massive amounts of acidity in the blood, robbing it of oxygen and increasing the risk of demineralizing the body over time. Eating mostly animal based foods will also cause the chemistry of the body to reach an anaerobic metabolic level. This anaerobic environment will decrease the oxygen level in the blood carried by your hemoglobin (the oxygen carrier in the blood) and the result is reduced endura nce. In order to reduce the acidic effects of consuming animal based foods and reducing the negative metabolic effects, I recommend taking Digestive Health before each meal, so that there is an increase in the digestion of the food and a reduction of the acidic waste produced by the animal based food. This product will help you to burn the food as fuel and ensure it is fully metabolized. 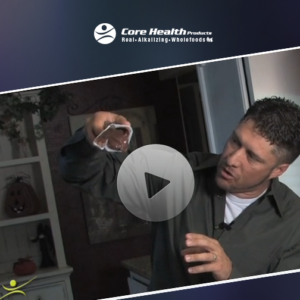 Click to watch a powerful video on the benefits of taking our Digestive Health when consuming cooked or processed food. Enzymes ensure the complete breakdown of the food, so you can utilize it for energy. It’s eye opening! So what is all the hype about plant based foods and food enzymes? Why will it increase my endurance; unlike the consumption of animal based foods? Here is a list of 5 benefits consuming more plant based foods and how they will increase your endurance. Plant based foods contain high amounts of electrolyte minerals. When you consume more plant foods, you will supply the body with the minerals it needs to neutralize the metabolic acids we spoke about before. These mineral have certain electrical charges and these charges create greater cellular communication that enhances cellular function. Enhanced cellular function will help increase your endurance. Plant based foods take less metabolic energy to digest and supply food enzymes to your organs to utilize and increases energy output. What this means for increasing endurance is simple. When you consume massive amounts of animal based foods, the body has to use massive amounts of energy to breakdown the food since it is void of any live enzymes. Again, this creates the anaerobic environment in the bloodstream and decreases your aerobic output. In juxtaposition, raw plant based foods can predigest in the stomach and do not require the body to use massive amounts of energy to breakdown the food. The body is able to use about 10% of the leftover enzymes from the raw food to build and repair the body. 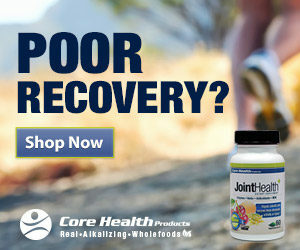 These food enzymes help your body to repair itself faster and faster recovery means an increase in endurance over time. The miracle of these food enzymes is that they help create red blood cell separation, as a result, it increases the oxygen levels in the blood. Higher oxygen levels in the blood give the immediate effect of increasing your endurance. When you start to consume more plant based foods, you will assist the body in remineralizing itself that helps to pH balance the body. Most people in the fitness and athletic world are highly acidic. If you get some pH strips you can test your saliva or urine to see where you are on the pH scale. You will be surprised at the results. When your body is pH balanced and has a reading of 7.365, your body is functioning at optimal levels. What this means for endurance is huge! When you are too acidic, you have the anaerobic environment described above. When you stay within the pH range of 7.365, you create the aerobic environment you body needs to build endurance. You may have to consume 70 to 80% of your food from plant based sources for a while to bring your pH level to where it needs to be. Keep testing your pH daily to help assist you in the process of becoming pH balanced. The ratios between animal and plant based foods fluctuate daily due to many factors, so get in the habit of testing yourself regularly. Plant based foods provide antioxidants for the body. Unlike the electrical antioxidants found in the Kangen water, plant based foods possess chemical antioxidants. The chemical antioxidants found in plant based foods combat free radicals produced under normal metabolism and those produced in higher amounts during physical activity. Research from the Japanese literature are showing that both types of antioxidants are needed to help with increasing endurance. The antioxidants in the Kangen water are immediately utilized by the body; but the antioxidants found in plant foods take a little longer because of the digestive process. Do not think that the Kangen water antioxidants can be used as a replacement for the chemical antioxidants found in plant food. Each type of antioxidant are necessary for increasing endurance. Plant based foods increase oxygen levels in the blood. Like I mentioned earlier in this article, food enzymes from raw food will help separate red blood cells, moreover, creating that aerobic environment you want to increase your endurance. I think these 5 benefits is enough to convince you that increasing your consumption of them is imperative for increasing endurance and sustaining overall health but more can be found in our book- Living Alkaline in an Acidic World! I’m in the Army at Fort Benning and have trouble with my knees even contemplated surgery. I started on Joint Health and am able to run better and have so much more energy. Can’t imagine not having my JOINT HEALTH! 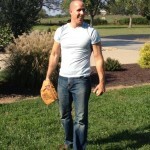 !– Ryan N.
Most people know what types of fat to avoid. Mainstream nutrition and medicine gets it right when it comes to what fats to eliminate or minimize in your daily intake of food. What is often times missed is the benefits you get from consuming healthy fats to increase endurance. I will give you 4 Reasons why consuming good healthy are necessary for increasing your endurance and give you a list of good fats to eat. Reason #1 Healthy Fats increase Oxygen Levels in your Cells! The cells in our bodies are partly made up of unsaturated and polyunsaturated fat. These fatty membranes in our cells are important because one of the many functions they have is to absorb oxygen in our bloodstream. If we do not consume healthy fats that consist of unsaturated and polyunsaturated fats, our fatty cell membranes will not absorb oxygen and will fail to absorb nutrients from food. Question: So are you saying that we cannot create the aerobic environment in the body without consuming healthy fats? The simple answer is yes! If you want to increase oxygen levels in the blood that assist in building endurance then you must consume good healthy fats. Like plant based foods, healthy fats contain high amounts of antioxidants. Again, these antioxidants will help reduce free radical damage and repair the tissues of the body. This cellular benefit will enhance your endurance because the faster you recover the better your endurance. 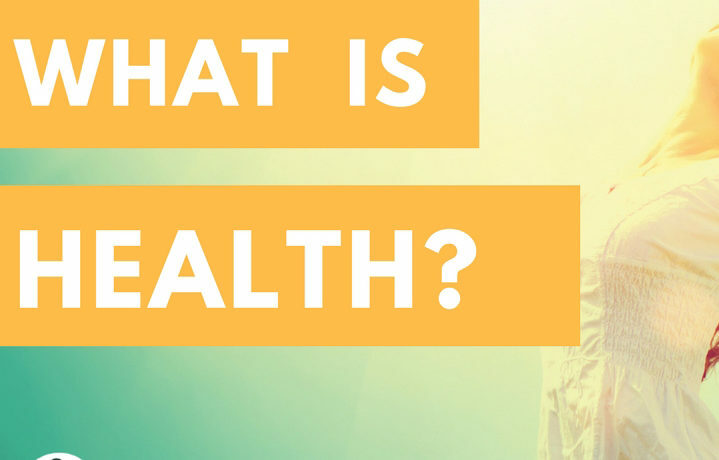 Some of these health benefits are starting to sound redundant, but I am trying to show you how each secret work synergistically together to give you optimal chances of achieving your endurance goals. Reason #3 Healthy Fats Lubricate your joints!! If you or someone you know have been training or playing sports for a long time, joint pain typically slows us down and keeps us from training and competing. Healthy fats will help lubricate the joints just like drinking plenty of water. The lubricated joints will allow you to handle the wear and tear of training or competing and enable you to train or compete longer. When you eat healthy fats, the fatty layers that surround your cell membranes open up. Once the fatty cell membranes open, the nutrients you take in will absorb much more efficiently. You or others may not realize that part of hitting a wall in your endurance could be caused by fatty acid deficiency. In fact, most people do not take in enough fatty acids and over time this will increase bodily degeneration and slow your capacity to participate in any form of physical activity. Fatty degeneration will create the anaerobic environment spoken about already, it will also cause increased inflammation and damage in the joints and both will effect your ability to increase your endurance. An inflamed and an anaerobic body will not allow you to build the endurance you desire. It is time for you and/or others you may know in the fitness and athletic world to get on board about the myths concerning fat consumption and begin to look at healthy fats as a golden ticket that gets you into higher levels of physical endurance. Now that you know some of the benefits of consuming healthy fats for health and endurance, lets focus on what types of fat you need to consume to increase endurance. Nuts and seeds, e.g., walnuts, pumpkin seeds, sunflower seeds, macadamia nuts, pine nuts, almonds, chia seeds, etc. Essential Fatty Acids like Core EFAs. Superfoods are the most overlooked food on the planet when it comes to building endurance. There is a plethora of superfoods that you must incorporate into your daily food intake because this will take your recovery time and your endurance potential to another level! There are numerous types of superfoods, but we will just focus on the ones that are more related to increasing endurance. The types of superfoods you want to consume daily are foods like green leafy vegetables, sea vegetables, organic grasses and sprouts. Foods like wheat grass, oat grass, barely grass, spirulina, chlorella, sea kelp, alfalfa sprouts, kale, collard greens, spinach, etc. Our Core Greens, alkalizing superfood, is formulated with 14 RAW ingredients hand selected from the richest soils to maximize the highest nutrient content available. Let’s look at 3 benefits of consuming these superfoods that will explain why they are so important for recovery and endurance. Benefit #1 Gives the body higher levels of food enzymes! Remember what you read about raw plant foods earlier and how 10% of the enzymes from the plant food can be used to repair the body! Well these superfoods are already predigested before you actually consume them and are even predigested again in the stomach before entering the general circulation of the blood. Why does this matter to help me with my endurance? The more foods we consume that are predigested gives the body the ability to spend more time and energy helping the body function besides spending so much time digesting food. When you eat too much cooked food, the digestive system and pancreas require more energy and enzymes to break your food down, as a result, you will have lower energy levels. 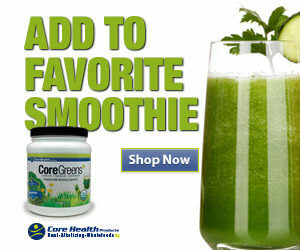 These superfoods will donate higher levels of plant enzymes to your body which will enhance energy levels. The more you take in raw plant enzymes, the better your body will recover and function, so increasing endurance is inevitable. Benefit #2 Increases oxygen levels in the blood! Like all other raw plant foods, the more superfoods you eat will increase oxygen levels in the blood at optimal levels. The more you supply your body with oxygen rich superfoods, the better chances you have to increase your ventilatory threshold that will allow you to train or compete longer, harder and better! Benefit #3 Re-mineralizes the body to assist in neutralizing acid waste! Like we said earlier, when you train or compete in athletics, the body builds up acidic waste. Unlike animal based foods; these superfoods contain massive amounts of minerals to help neutralize those acids. This is very important at the molecular level because these minerals enhance intracellular and extracellular communication for each cell and between cells. These minerals have electrical charges that create energy for your cells. The better your cells function at optimal levels, the better your body will have the ability to train and/or compete. The alkalizing minerals contained in these foods will bring your body back into pH balance, so that it can function at optimal levels. Keep in mind that when you consume too many acidic animal based foods and not enough alkalizing mineral rich plant foods, the less energy you will have and the faster your body will break down over time. A good rule of thumb to remember is that when you consume these raw foods/superfoods your body will utilize all the energy produced in these plants through the process of photosynthesis. Literally, it is taking what is called, “light energy” from these plants and giving it to our bodies to supercharge it! These types of foods are like gold in food form! They truly are priceless living entities! Follow these Secrets and you will see an increase in your endurance! Erasmus, Udo. Fats That Heal, Fats That Kill. Burnaby, BC. Alive Books. 1993. Howell, Dr. Edward. Enzyme Nutrition. Wayne, New Jersey. Avery Publishing Group. 1985. Jhon, Dr. Mu Shik. The Water Puzzle and the Hexagonal Key: Scientific Evidence of Hexagonal Water and its Positive Influence on Health. United States of America Library of Congress. Uplifting Press. 2004. Santillo, Dr. Humbart N.D. The Power of Nutrition with Enzymes. Carlsbad, California. Designers For Wellness Press. 2010. Stratton, Shan. 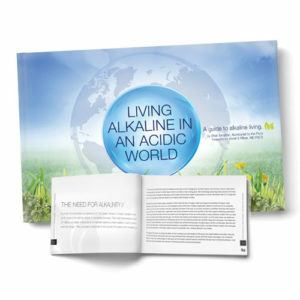 Living Alkaline In An Acidic World. Mesa, Arizona. 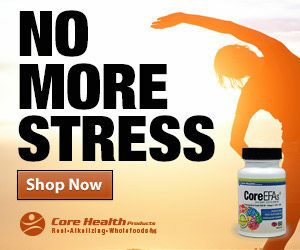 Core Health Products Publishing. 2014.